Connect an iPod® to your factory radio. Deliver CD quality output from your iPod® to your factory radio using the 3Sixty integration for iPod® series. These interfaces allow you to conveniently plug-in an iPod® and play your favorite music tracks. Now you can take your tunes everwhere you go. Select models also allow connection to external audio devices like a DVD player, video game console, etc. Simply review our iPod® and Vechicle compatiblity charts to ensure you select the correct adaptor for your ride. Specific for select Audi vehicles, the integration kit delivers high fidelity CD quality audio output from your iPod to your factory radio.Integrated controls allow you to simultaneously control music from your iPod, radio or steering wheel controls. Features text display including song title, album and artist name on your radio. Charges iPod and transfers media to your factory radio. or select Audi vehicles, the integration kit delivers high fidelity CD quality audio output from your iPod to your factory radio. Integrated controls allow you to simultaneously control music from your iPod, radio or steering wheel controls. Features text display including song title, album and artist name on your radio. Charges iPod and transfers media to your factory radio. Specific for select BMW vehicles, the integration kit delivers high fidelity CD quality audio output from your iPod to your factory radio. Integrated controls allow you to simultaneously control music from your iPod, radio or steering wheel controls. Features text display including song title, album and artist name on your radio. Charges iPod and transfers media to your factory radio. 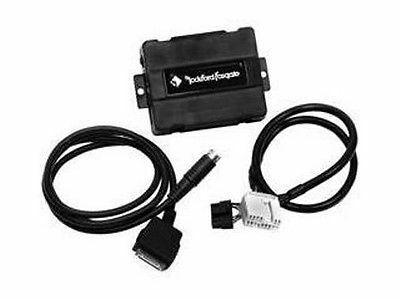 Specific for select Honda/Acura vehicles, the integration kit delivers high fidelity CD quality audio output from your iPod to your factory radio. Integrated controls allow you to simultaneously control music from your iPod, radio or steering wheel controls. Features text display including song title, album and artist name on your radio. Charges iPod and transfers media to your factory radio. Specific for select Mazda vehicles, the integration kit delivers high fidelity CD quality audio output from your iPod to your factory radio. Integrated controls allow you to simultaneously control music from your iPod, radio or steering wheel controls. Charges iPod and transfers media to your factory radio. Specific for select Mazda vehicles, the integration kit delivers high fidelity CD quality audio output from your iPod to your factory radio. Integrated controls allow you to simultaneously control music from your iPod, radio or steering wheel controls. Features text display including song title, album and artist name on your radio. Charges iPod and transfers media to your factory radio. Specific for select Toyota vehicles, the integration kit delivers high fidelity CD quality audio output from your iPod to your factory radio. Integrated controls allow you to simultaneously control music from your iPod, radio or steering wheel controls. Features text display including song title, album and artist name on your radio. Charges iPod and transfers media to your factory radio. Specific for select Volkswagen vehicles, the integration kit delivers high fidelity CD quality audio output from your iPod to your factory radio. Integrated controls allow you to simultaneously control music from your iPod, radio or steering wheel controls. Features text display including song title, album and artist name on your radio. Charges iPod and transfers media to your factory radio.